If you are looking to build an AMD Ryzen rig and want memory that is proven to work, you are probably best off looking at a motherboard's QVL list. Unfortunately, for some board makers, a QVL list doesn't mean full compatibility and stability; it only means the memory will boot. With a majority of memory sticks on the market today supporting XMP profiling, they are obviously not perfectly intended for the Ryzen platform either; they are tuned for Intel CPUs. Fortunately, there are sticks out there from most brands that are tuned for Ryzen, and we'll be looking at several of these kits in the coming weeks. The first kit I've got here is from GeiL, a company that might be more well-known for their "Golden Dragon" memory series. Those Golden Dragon sticks are awesome indeed, but that's not all GeiL has on offer. It makes sense that we start with a kit that is pretty basic. GeiL's EVO Spear sticks look basic, but the kit I have here today does go a bit beyond being simple and supports 3000 MHz speeds when paired with Ryzen CPUs. 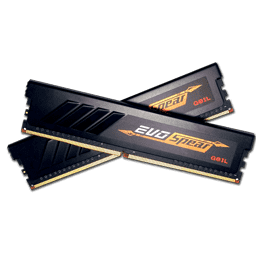 Featuring timings of 16-18-18-36 at 1.35V, these 8 GB sticks reach a level some Ryzen boards just aren't capable of; not every Ryzen board can do much more than that, frankly. 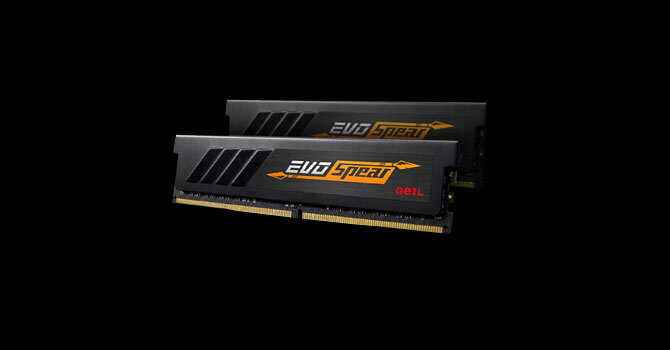 Yet with a basic look, a standard height, no RGB LEDs and a relatively modest price (given today's memory prices), these GeiL EVO Spear sticks might be exactly what you are looking to pair with your Ryzen CPU.